Newcomer Family Obituaries - Phyllis J. Tackett 1931 - 2019 - Newcomer Cremations, Funerals & Receptions. Phyllis J. Tackett, age 87, of Dayton, passed away after a lengthy illness on Thursday, April 11, 2019. Phyllis was born June 10, 1931 in Dayton, OH to the late Elmer & Myrtle Rike. She is survived by her loving husband, Langley Tackett; sons, David Tackett & his wife Georgia and Douglas Tackett; grandchildren, Amber Tackett & her husband Josh, Brandi Lipscomb & her husband Wes and Brian Tackett & his wife Sarah; great-grandchildren Piper and Ellie; and sister, Alice “Betty” Reasoner & her husband Richard. The family will receive friends on Tuesday, April 16, 2019 from 10-11am at Newcomer Beavercreek Chapel, 3380 Dayton-Xenia Rd, Beavercreek, OH 45432. The service will follow at 11am. 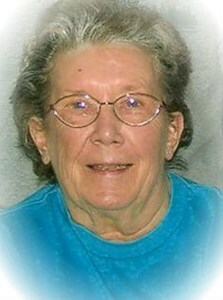 Phyllis will be laid to rest at Valley View Memorial Gardens, Xenia. To share your memories of Phyllis or leave a special condolence message for her family, please click Share Memories. Add your memories to the guest book of Phyllis Tackett.